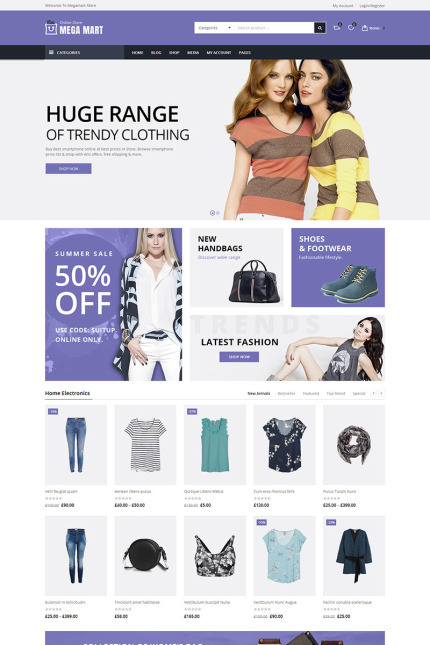 Megamart - WooCommerce Multi-Purpose Responsive Theme build for online store like Electronics, Fashion, Jewellery, Furniture, Accessories, Cloths, Blog and other multipurpose store. The design is very elegant and modern and also very easy to customize. Megamart theme has beautiful and clean design that will be best suited for your online business.